Mexico's Ganigan Lopez successfully defended his title for the first time against the tough Filipino challenger Jonathan Taconing of the Philippines. Lopez won the fight via Unanimous Decision. It was a clean win by Ganigan who almost win all rounds. Taconing was aggressive but the Mexican was too smart and use his footwork to avoid Taconings relentless attack. Taconing became frustrated in the 2nd half of the fight were he just throwing wild punches and hoping that he can connect. 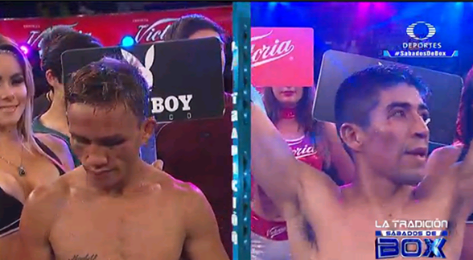 but Lopez uses his speed, jabs and one two combination to control the fight. This fight is the 2nd attempt of the Filipino for a world title and definitely loses the chance again. We really don't know what Taconing plans right now but he did a great job and he give it all and that's enought. Taconing is a great boxer but Ganigan is the much.